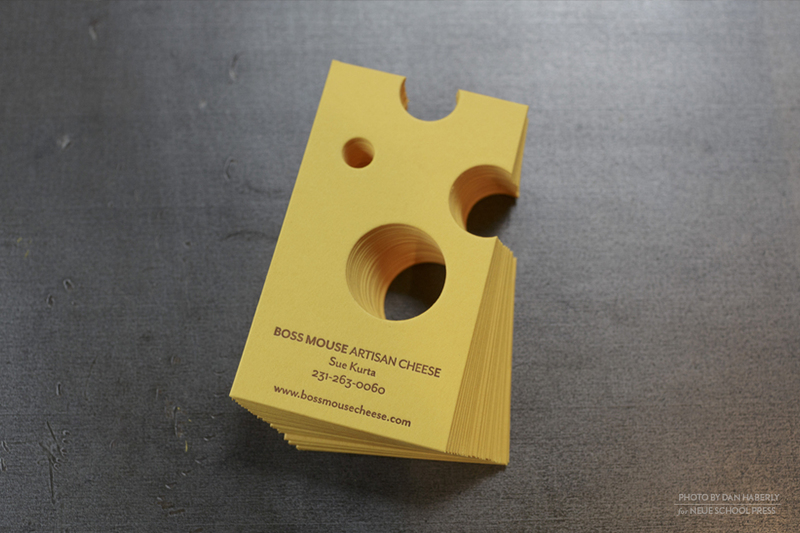 A perfect tell all business card for the founder of Boss Mouse Cheese. With such a definitive concept, getting the details right: paper, texture, weight and color was key. 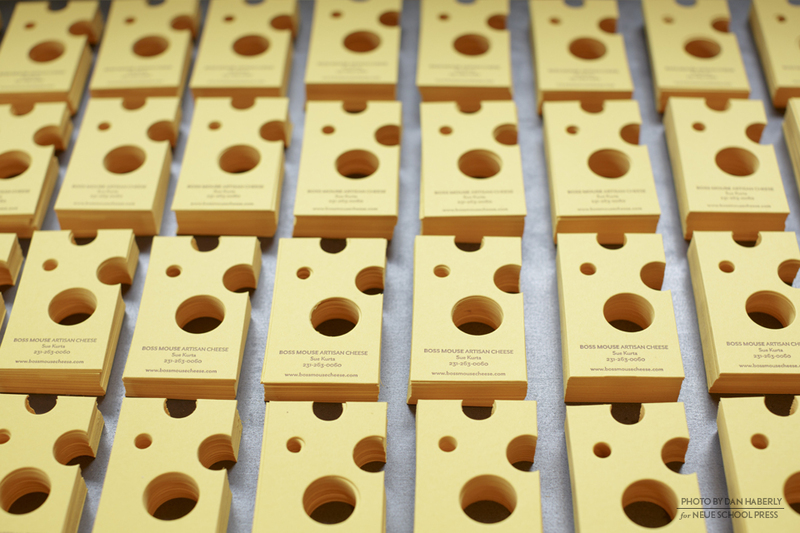 A custom duplex stock, the perfect shade of yellow, the right finish and then the die-cut, inspires the paper “cheese” into existence. 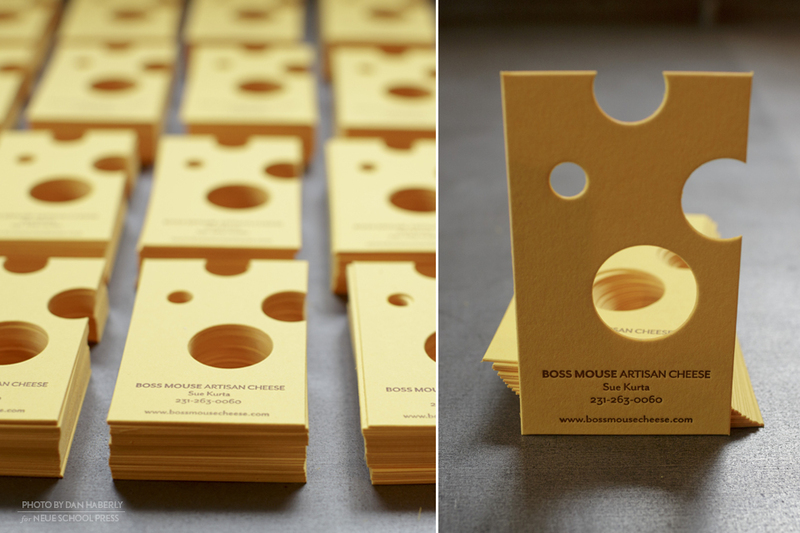 To finish, we letterpress printed the card using a simple type treatment for the contact details.